Hi all. I wanted to share some experience of going through AIDA ** and ***. It all started in Toronto with theory class and written exam, which wasn’t too hard to complete. Next, were pool class with statics, dynamics, safety. I was glad that I was part of FT, because we used same pool and our instructors were same guys as we always train with: Sergei and Soren, so the stress level was minimal. So at the end the static and dynamic requirements everybody passed with no problem, I did static 2’20”and 50 m of DYN. At that point the course for AIDA** had to pause because Sergei and Soren went to Roatan, Honduras to be the safety freedivers at the Caribbean Cup 2014. I had an opportunity to go there as well. I thank Sergei and Soren for their time they spend with me in the pool for safety drills, which I must emphasize were really thorough and real life based and for the time on diving platform and open water. I had a hard time to equalize head down and my sinuses were blocked. Fortunately, last two days of my stay my sinuses got better and I could go deeper. I was doing free emersion, so I could gain a better control to equalize and managed to go to 17m (it was very slow and took me 1’10”). Now, my main obstacle was to master the “duck dive”and Frenzel. But overall, feeling to be with professional freedivers on the same platform and dive there, was something amazing and unique – I had never done anything like that before. Roatan is a great place to dive, water is calm and very warm ( 30*C). it is fairly easy to find the depth, just past the first line of the reef approximately 25 m – there was sandy bottom at 6m deep, you swim another 30 m out (right after second line of the reef) and there is a drop to 14 m deep and so on… (I didn’t venture far more out). I met Walid Boudhiaf there, he lived there to train himself and teach AIDA courses. I was really motivated to keep on training after Roatan. So, back to Toronto and more pool training. Everybody still had to complete all safety and open water dives. Thankfully, I’ve done all of that in Roatan, so for me it was only as a refresher. About safety: Soren and Sergei were safety divers in many competitions, so safety issue for them is a big deal and by being safety divers they could and have brought so much more of their personal experience. There is a difference I’ve noticed as to the safety, practical application in the next course and people I’ve met but more about it later. To freedive in open water, in Lake Ontario, is VERY different from Roatan. We have started as a shore dive from Humber Bay park west and dived to -10 or -12 meters. Water was rough choppy and no visibility at shore (I dropped my snorkel in knee deep of water and couldn’t find it). We swam about 30 to 40 meters from the shore and start with some pull downs (free immersion) with the short hang at about -5 or -6 meters- it was warm ups and then we dove, it was -10 meters to the bottom and some visibility we had only at -7 or -8 meters. I had 5 mm suit and 8 lbs of weight. It was difficult for me to overcome cold water and thick suit plus equalizing wasn’t the best one- my ears were sticking all the time. I was kind of sad, comparing to Roatan – Ontario sucked. 2-nd open water was a little better; maybe I kind of submit to the fact that I live in Ontario and that’s the reality. We did the same warm ups and dove to -13 -14 meters. But on our way back, we had to fight the current to come back. Soren was less fortunate that day – he lost his car keys (those were in small floatable pouch/bag), they might still float somewhere:(. 3-rd time was even better and I think a little fun. We used my boat, so we didn’t have to swim 1/2 a mile out to dive deeper; we enjoyed a boat ride till we get to -18m, dropped the anchor and dove. Water was clearer than at the shore, visibility about 15 ft. My right ear was sticking again but I managed to -15 meters and that in cold water! Now I had to wait till my next course: September 15-19 – Vertical Blue school, intermediate course with William Trubridge and September 20-21 AIDA*** with Walid Boudhiaf and all that at Dean’s Blue Hole, Long Island, Bahamas. It took me 3 different planes to get from Toronto to Long Island. It was raining when I got there on September 13-th, I’ve wanted to come a little early to get acclimatized. I’ve rented a car (which is a must for that island) and went to Blue Hole. That little laguna is absolutely phenomenal and amazing. 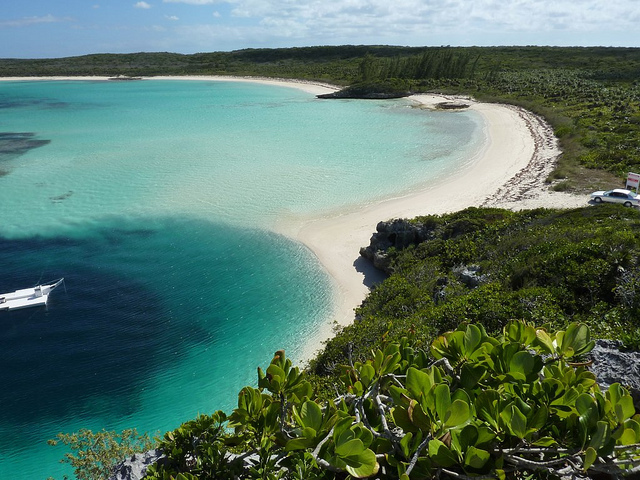 There isn’t any waves, no current (almost always), calm water 29*C, sandy beach with 80 or 90 ft tall lime stone cliff shaped as a half-moon, protecting the gem – The Blue Hole. Only being right there I truly understood why it’s been called “freediving Mecca”. About 10 meters from the shore its already 10 m deep and behold! Hole opens at about 30 m in diameter and goes down to 202 meters. The diving platform with Suunto and Orca plaques was there with both lines down. 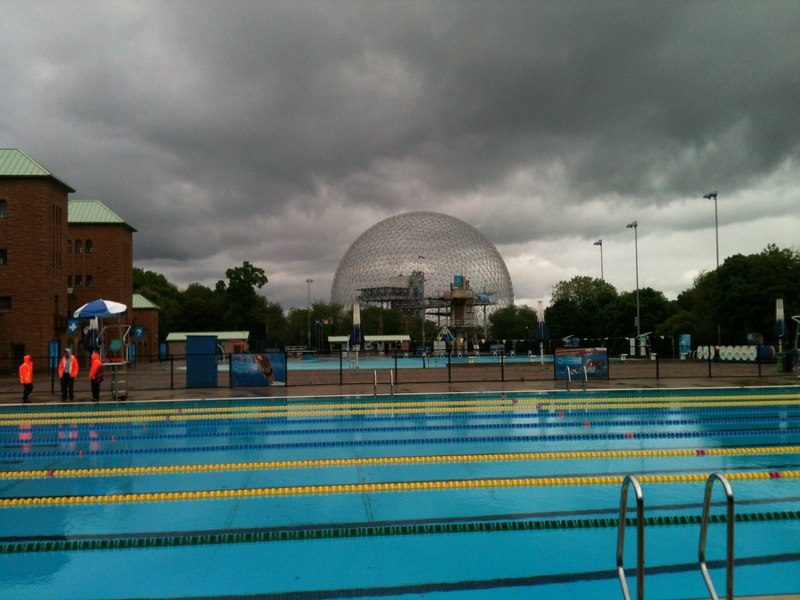 I swam there and dove to -12m-so easy I couldn’t hold my laugh compering THIS with Ontario. I didn’t want to dive any deeper – that was the first day and I did not want to risk any problems with my ears. All participants met a day before the training at the restaurant called “Roudy Boys” for dinner and introduction (food was good and not expensive). There were eight of us- students and William and Walid. I was quite surprised to see some people there, I thought it would be only free divers but instead there were two guys in early 60-s one of them had an introductory level from Thailand and his friend was scuba diver, husband and wife who like to spearfish, spearfishing guy from New Zealand, PADI Dive Master from Puerto Rico, freediver from Peru. The training started at 9 am with the safety briefing and we hit the water. We were split into two groups, one group (4 people) with William and another 4 with Walid and we were switching between William and Walid. Warm ups with short hang were almost the same: we could go a little deeper ( -10 m) and stay a little longer. Then it followed with “duck dive” – the form and the ways to do it and finning. The way it was: one guy diving and another watching as a safety diver. I did -16m CWT at the first day. Mostly we dove CWT or FIM. With conditions being so much better, diving was more relaxing and I found that I can go a little faster but on the other hand, it was kind of hard to sync it with equalizing and each time if I skipped equalizing, I could go another 1,5 m till I felt a discomfort/ slight pain in the ears. We finished at 12pm for lunch and at 2:30 pm it was theory class till 5 pm and then yoga glass with Brittany Trubridge. First two theory classes were very much the same as the theory from AIDA * and **. Last two more about equalizing, finning, breathing exercise and ways to practice for deep dives. Yoga classes were very geared towards freediving and quite intense ( I’ve been doing “poweryoga” for 8 month now, so I know what intense is). Second and third days we had similar routines at Blue Hole, each time diving a little deeper and a little faster, so on the third day I went -23m it took 55” and to -24 m it took 50”. Forth day it was a day when we were setting the depth with bottom plate and diving even deeper, so we were setting our PB’s ( I had my PB’s before I came to Blue hole at -17 FIM and -15m CWT, 2-nd day in Blue hole I already had my new PB and same for the 3-rd day too). I was first to dive, set for -25 m and I did it in 52”. After that we tried different disciplines like variable weight and CNF. After William gave us a super crash course of CNF, everybody loved it and mostly dive CNF till the end of the day. Last day of intermediate course was the leisure one: half of the group went spearfishing with William and another back to the Blue Hole for more depth with Walid. That day I did my PB of -29m took me 1’ 03”. That was it for Vertical Blue Intermediate course. During this course William shared with us some of his techniques of breathing, diving and exercises, his stories about some interesting dives. we learned about freediving diet and yoga. There was 4 of us for AIDA *** with Walid and it was piece of cake. Every day diving deeper and deeper for previous 5 days paid off, so everybody was deeper than -24 m, rescue from -15m and mask removal was easy. Theory wasn’t hard – we were covering some of it at intermediate class. Finally was static and dynamic-we used, freshly built pool (one lane 2.5 m x 25 m) at William’s house. For me it was the easiest, since I train mostly in the pool, so I did 3’15” in static and 72 m of DYN. 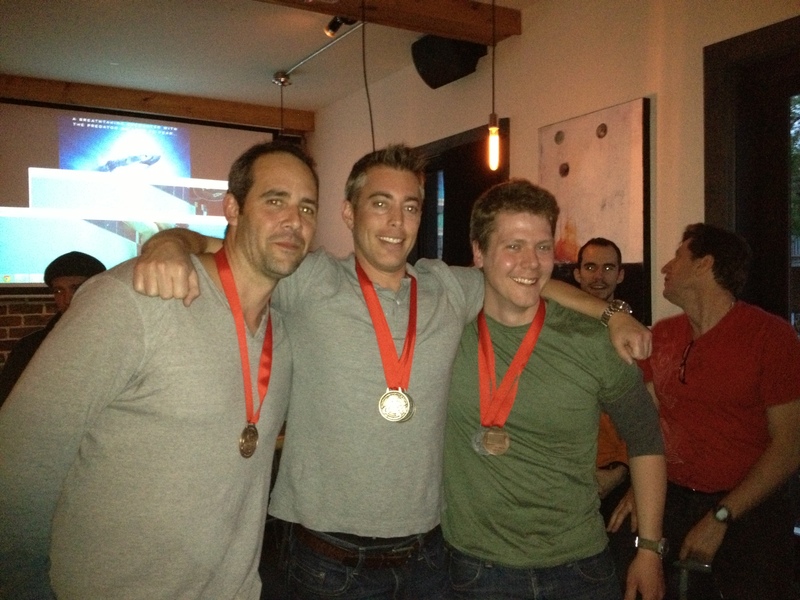 Best safety training, pool training is at Freedive Toronto. 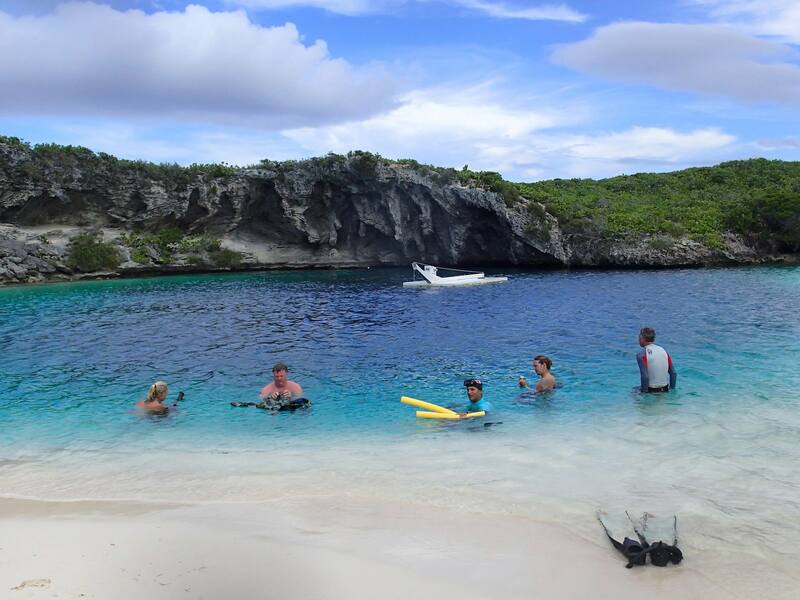 Best place to practice depth is Dean’s Blue Hole. Best instructors: Sergei, Soren, William, Walid each of them shared with me unique knowledge. Thank you very much! For those of you who did not have a chance to be there last year, here is a link to the great insight from Jeff, who conquered Ontario records last year at the very same pool. Hope this will motivate many more newcomers! FreediveToronto now traditional FreeStyle mini competition is announced for March 24, 2014, so all freedive toronto members who haven’t tried or seen a competition will be able to compete under near real competition conditions. This will also allow people to get a taste for what will be hapening at the nationals competition which will take place later on this year and have a chance to test their current state of training. Competition is registered AIDA event with performances counting towards your Provincial, National and International rankings. ONLY 6 SPOTS are available !!! Here is the link to the video of the 145m VWT WR which has Enjoy Freediving’s very own Soren Frederiksen doing safety and AIDA Canada Board member Natalie Doduc doing safety as well. Big thank you to the both of them for finding the time to come out and support me for this record! It really made a big difference seeing their smiling faces during the build up to the dive and also knowing I had the best possible safety in the water. 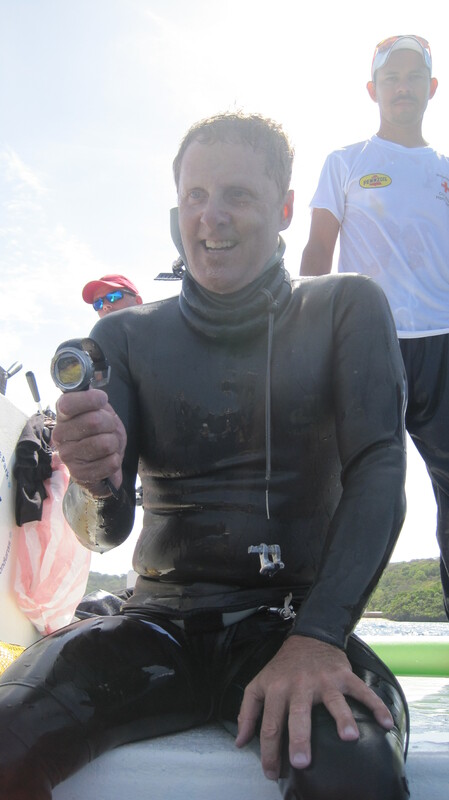 Soren Frederiksen, another member of our Club, solidified his reputation as one of the best safety divers by looking after Williams dive along with other members of Safety Team. Well done, William! We hope to see you in Toronto soon to congratulate you in person! 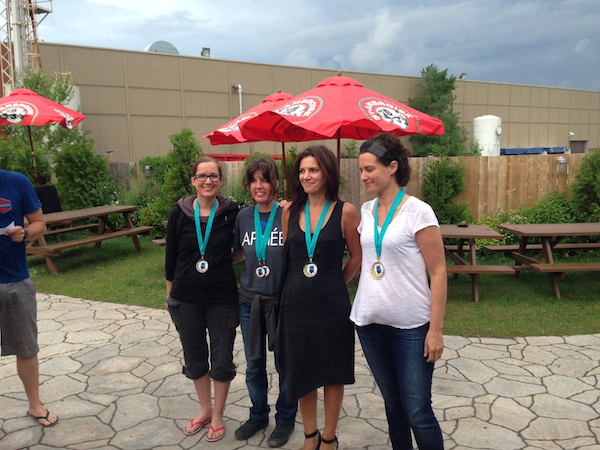 The 9th annual Montreal freediving competition is in the books and the cup has been returned to Toronto! A couple of months ago the pool looked incredible on paper at 50m long and a constant 3m deep. I had wanted to try swimming in a 50m pool for 2 years – so I couldn’t miss this event and had to go. No excuses, or so I thought! As it turns out, the weather gods had other ideas and seeing as the pool is outdoors and at 8* rainy / windy weather on Sat and 12* rainy weather on Sunday, conditions were far from ideal. We all have masks and wetsuits – how bad could it be?? Looking ahead to the forecast, I figured if nothing else, everyone would shiver before their official top (starting time), everyone would have awful performances and the adversity would pull us all together, make us stronger and we could laugh about it. As it turns out, I managed my temperature well and achieved new Ontario Provincial records of 112m DNF on Sat and 169m DYN on Sunday. This broke the previous ones I set set a month ago at Nationals of 105m DNF and 136m DYN. I completed all 3 events successfully, without penalties and earned “white cards”. The point accumulation was enough for me to solidly secure the cup for Toronto. Also from Toronto, Liuba safely secured the top spot for the women with 3 white card performances as well and Yaroslava received the silver medal. Liuba also gets some credit for helping me secure the cup on behalf of Toronto – after my 169m swim and quick surface protocol, I patiently waited for the judge to show me the white card without moving a muscle – not even the respiratory ones! This was a problem as I forgot to breathe and if not for her shouting at me “BREATE JEFF, BREATHE!”, I just may have ended up with a red card DQ instead. :D.
Mental note: I must remember to practice hook-breaths in the pool!! 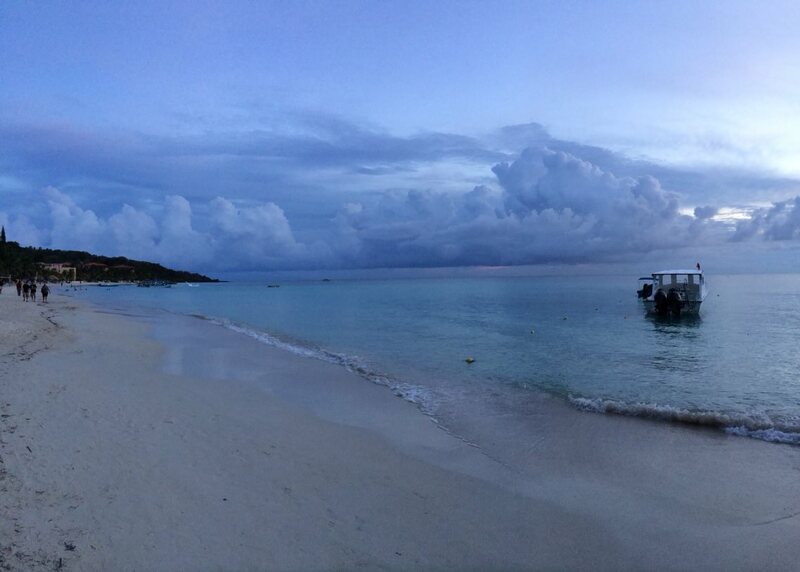 Roatan for Sunday’s DYN event – talk about climate shock!). We did get Yaroslava and Liuba out to represent the women, which is a much better ratio of participants than on the men’s side, but I know that we can both do better. I really think that people might be missing out on some of the fun, friendly experience and camaraderie that a Freedive competition offers. I believe it 100% and went into my first competition with an open mind, aiming to deliver my own best performances possible under competition conditions. I managed 63m with bi-fins and 54m without. 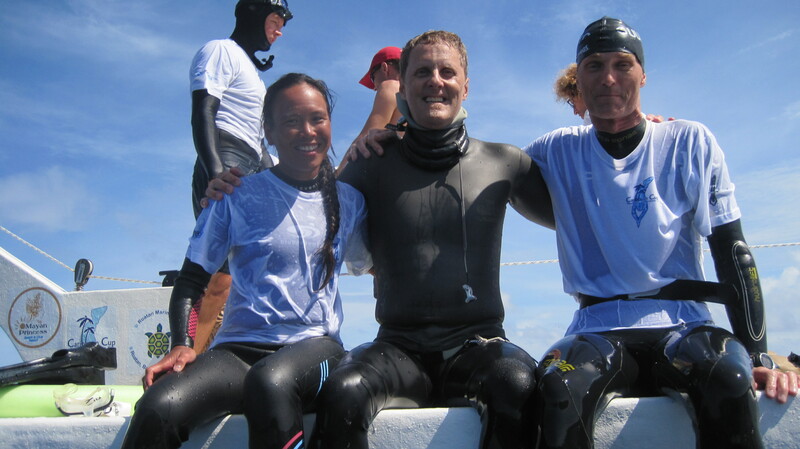 Both were personal bests and I was on my way with a decent competition baseline and more importantly, many new friends in the Toronto and Montreal Freedive community. I even recall William Winram (who I had never met in person at the time and I believe was training in Egypt) sending me an email congratulating me on 3 white cards. Personally, I have never swam more than 75m in training and then only about 4x and as single repetitions. I use comps as motivation to train and to push myself to peak with maximum attempt performances. The competition environment provides focus, as well as a safe environment for you to mentally gear up to be able to give it your all for a single swim. My last 3 competitions in DYN have yielded new personal bests each time at 101m, 136m and now 169m. I am learning a lot about myself and am striving to find the edge of my current performance abilities. I feel that I have a long way to go still and am enjoying the ride. It may take you 2-3 comps to get familiar with procedures / flow / rules of competition before getting comfortable with them. The divers meeting to go over the rules can seem daunting the first couple of times. Either myself or some of the other competition veterans would be glad to go over them in advance with anyone that is thinking of trying their first competition. There is no room for ego in freediving. It is an individual journey of self-discovery and the goal should be individual progression and learning. Try not to compare yourself to others or think that you can not swim far enough to enter a competition. Even if you have moderate / conservative performances but receive white cards for a clean performance, you might just find yourself on the top half of the overall points list at the end of the comp! Expectations aside, I think people should try a competition with the aim of familiarizing themselves with the format and also trying to achieve clean “white card” performances. 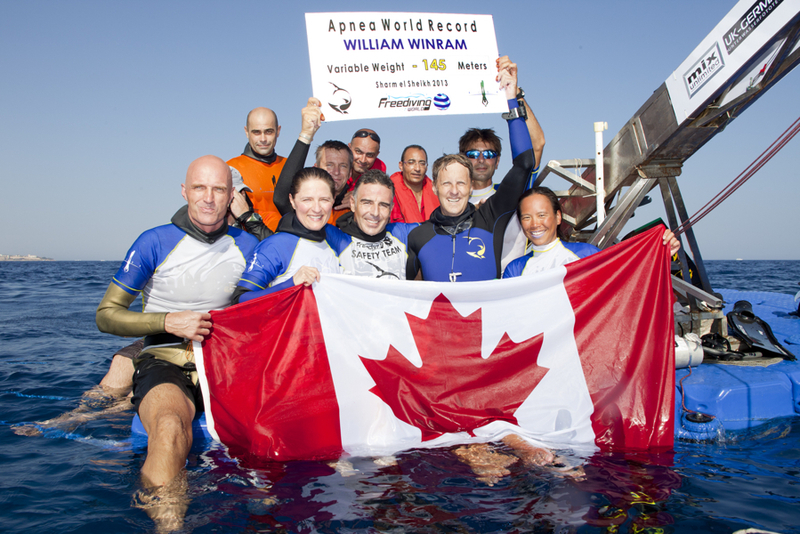 William Winram, a Freedive Toronto member was in a great mood and very relaxed chatting to the safety team on the Catamaran before his dive. After a few warm-up dives and some rest he left the surface for a historic 94 meter bi-fins dive. Looking relaxed and not too fast of the surface we saw him sinking into the deep blue. After waiting for 2 and a half minutes I went down as the first safety to meet William. After 15 meters I could already see him coming up, which means that he was around 45 meters so I tried to swim down as fast as possible, he was early. At 25 meters I met William who was looking strong and I was happy to see the tag sticking out of his hood. Congratulation on an amazing dive and to a great diver.